Apply Cider Vinegar is an enzyme- and probiotic-rich fermented food. It is made from apples that are allowed to ferment. Making unpasteurized apple cider vinegar follows a process similar to the one used for making other homemade fermented brews, such as kombucha. Below is a high-level overview of a more detailed “how to” process for making homemade apple cider vinegar. Apple cider vinegar has been found to contain citric, formic, lactic and succinic acids, as well as antioxidants such as caffeic acid, catechin, chlorogenic acid, epicatechin and gallic acid, which fight free radicals that cause oxidative stress and promote inflammation. Following are nine suggested benefits of apple cider vinegar. Research published in the journal Bioscience, Biotechnology and Biochemistry in 2009 indicates apple cider vinegar can help you lose weight and shed body fat.7 In this study, 144 obese Japanese adults consumed either 1 tablespoon of vinegar, 2 tablespoons of vinegar or a placebo drink every day for 12 weeks. Other than restricted alcohol consumption, the participants were free to maintain their usual diet and activity levels. The study authors concluded, “[D]aily intake of vinegar might be useful in the prevention of metabolic syndrome by reducing obesity.”8 The weight loss is thought to be influenced by the acetic acid in vinegar, which is believed to suppress your appetite and increase your metabolism, as well as reduce water retention.9 Scientists also theorize apple cider vinegar interferes with your body’s digestion of starch, resulting in fewer calories entering your bloodstream. Try sipping a glass of warm water containing 1 teaspoon of apple cider vinegar about 30 minutes prior to eating. By introducing apple cider vinegar, which has a pH similar to stomach acid, you ensure your stomach will have sufficient amounts of acid to promote proper digestion, thus prevent heartburn. Another wonderful option for staving off sore throats is to treat each of your ears with a small amount of 3 percent hydrogen peroxide while lying on your side. Upon pouring the solution into your ear canal, you will hear and feel the bubbling and sense a slight stinging in your ear canal. Wait five to 10 minutes until most of the bubbling subsides, then drain the fluid onto a tissue. Turn over and repeat the process with the other ear. Do not use this technique if you believe you have an ear infection and the ear drum may have ruptured or opened. This entry was posted in Health, heart, nature, turmeric, Weight Loss. Seasonal affective disorder (SAD), also referred to as winter blues or winter depression, impacts people which experience normal mental health for the rest of the year but get depressed during the cold months and even through the fall. Nearly 3 percent of Americans are afflicted by SAD. But a lot of people don’t even realize they’re depressed and attribute altered behavior to the winter weather. SAD symptoms are often manifested during the time of the year with less sunlight throughout the day as in the colder days of fall and winter months. The symptoms can begin as mild or average but may become severe. You may go through the winter blues during other parts of the year if you work extended hours indoors in an office building with few windows for sunlight to shine through. Some even experience mood alterations during prolonged stretches of cloudy climate. You may be experiencing SAD in the event that you frequently feel fatigued, crave foods abundant with carbohydrates, lack enthusiasm in doing normal activities, have a problem diffusing tension and coping with stress, find it hard to concentrate, feel socially withdrawn, and encounter weight gain. Avoid grains and sugars – Grains and sugars create a risk of insulin resistance, which is connected with depression. Work out – Sweat it out to create endorphins, that promotes a feeling of well-being by minimizing pain and stress. Laugh – Like working out, laughter releases endorphins to provide you with painkilling effects similar to morphine. Optimize your degrees of omega-3 good fats – These EFAs might help your emotional well-being. Animal options like top quality fish and krill oil. Pass on drinks – Avoid alcoholic beverages because drinking is only going to depress you more. Sleep early – We are designed to fall asleep when at sunset. In the wintertime, however, you might want to go to bed at an earlier time to conserve this biological pattern and prevent disrupting fragile hormonal cycles within your body. Socialize – No man can be an island. Go find good people that will help cheer you up. Try light treatment – There are small lightweight lamps known as light boxes that make artificial full-spectrum light which mimic outdoor light to improve your mood. This entry was posted in fighting depression, Health, nature. Millions of honeybees are dead in Dorchester County, South Carolina, and local beekeepers say the mass death was a result of the county spraying the area with the controversial pesticide naled on Sunday afternoon in an effort to combat Zika-spreading mosquitoes. A Clemson University scientist collected soil samples from Flowertown on Tuesday,according to WCBD-TV, to further investigate the cause of death. But to the bee farmers, the reason is already clear. Their bees had been poisoned by Dorchester’s own insecticide efforts, casualties in the war on disease-carrying mosquitoes. Beekeepers are supposed to be warned prior to any pesticide spraying, so that they can cover their hives to protect them. But local bee owners say they were not given any warning about Sunday’s spraying, according to the local news station WCBD—and this was also the first time the community was subjected to aerial spraying, rather than spraying from trucks. 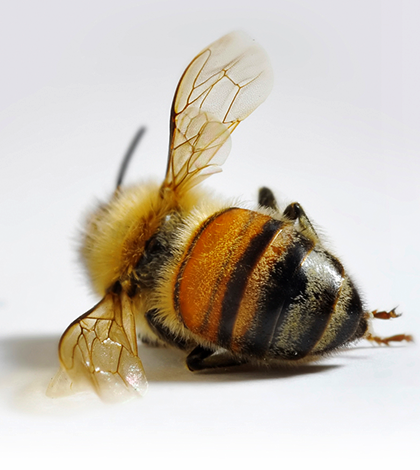 “Had I known [about the spraying beforehand] I would have been camping on the steps doing whatever I had to do screaming no you can’t do this,” a beekeeper told WCSC, another local station. “I was angry that day, I just couldn’t wrap my head around the fact that we spray poison from the sky,” Andrew Macke, another beekeeper in Dorchester County, told WCBD. Several studies suggest that long-term exposure to even low levels of naled can have serious health effects for children and infants as well as wildlife, including butterflies and bees, for whom exposure can be lethal. 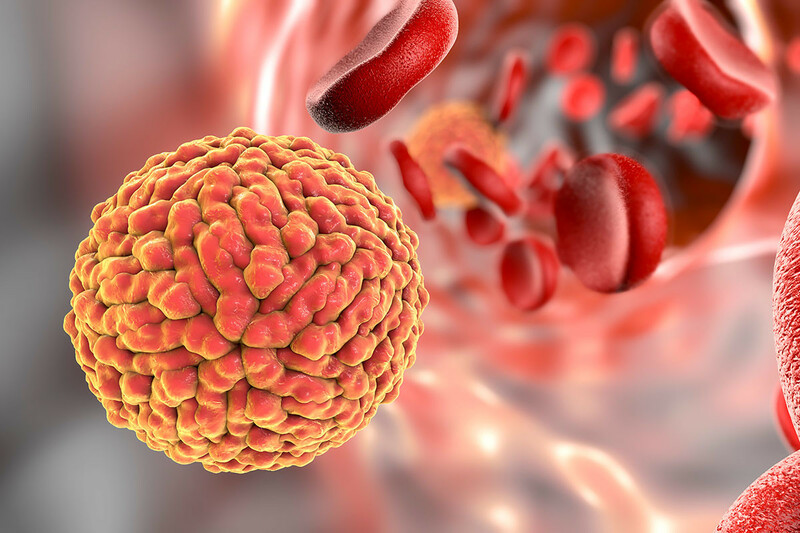 Some studies suggest it might have neurological and developmental effects on human fetuses, including on brain size, echoing the severe consequences that eradication of the Aedes aegypti mosquito that carries the Zika virus is meant to prevent. This entry was posted in Health, nature, virus and tagged dead bees, food, naled, zika vius.